Serving San Antonio, Austin, and other areas of Texas with high-quality St. Augustine, Zoysia, and Bermuda grass sod. 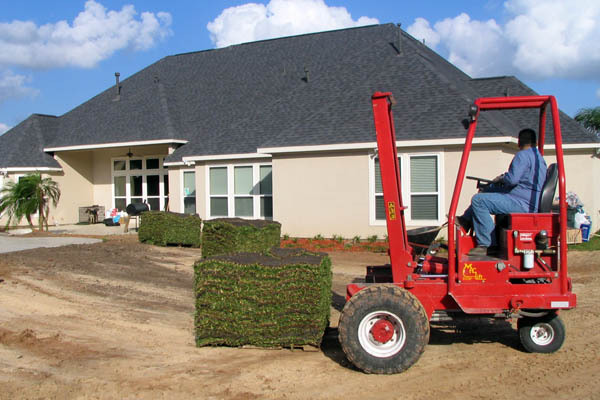 Triangle Turf Company provides our high-quality turf grass sod in either pallets or rolls to fit your installation requirements. 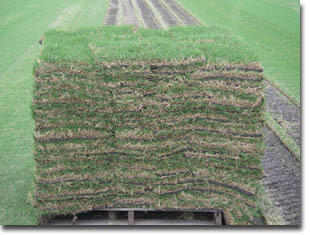 Call us at 1-800-753-5182 or 1-979-244-2496 to discuss the best way to order grass sod for your project. 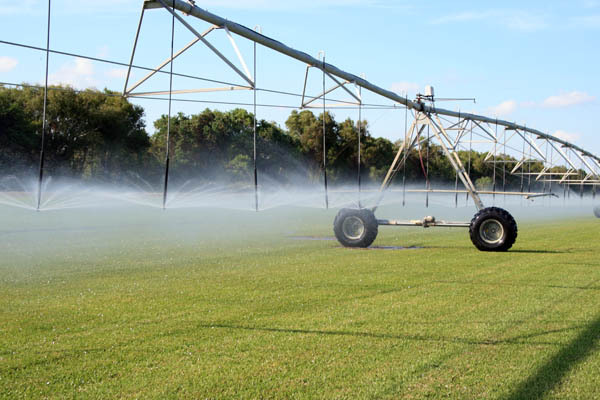 Our sod is grown in a clay-based soil which holds together extremely well after it is harvested and affords a greater deal of protection to our grass between harvest and placement. 16” X 24” Turfgrass Sod Pallets Smaller area installations such as residential lawns are best served with our traditional square sod slabs. There is less need to cut these smaller sod sections to fit around trees and shrubbery areas of your lawn, so thereʼs less waste. Golf courses, sports fields and other large open areas benefit from more efficient installation with our 30" big turfgrass sod rolls. 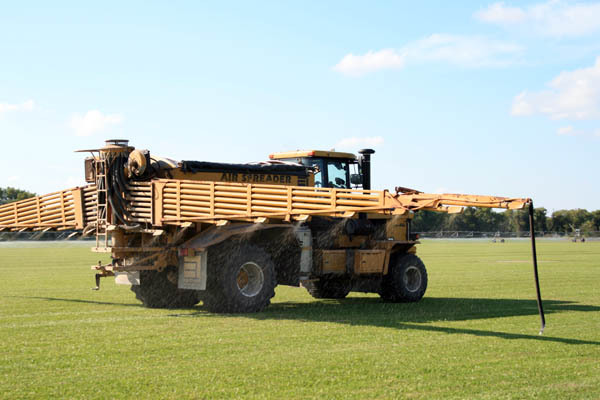 These large rolls will speed installation and reduce associated labor costs for your large sod projects. 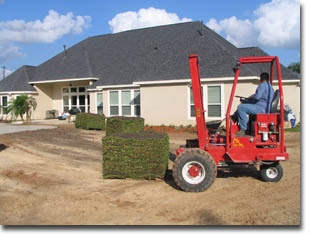 Once your load of sod is harvested we will deliver and unload your turfgrass sod when and where you are ready to install it. 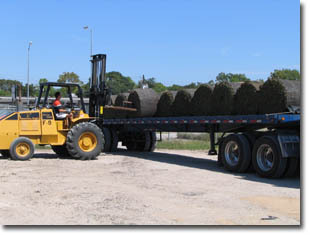 Our use of modern sod handling equipment ensures a perfect delivery of our product to your job site. 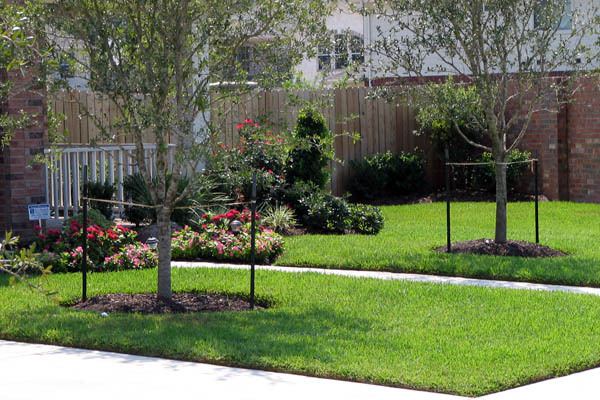 Should you wish to pick up your grass, we also make this choice convenient for you. 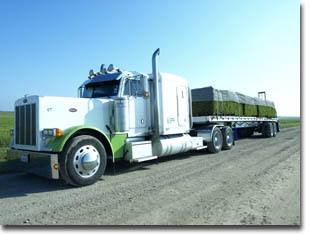 All of our harvested turf grass sod pallets are stacked on all-weather loading docks centrally located throughout the farm. If you need to pick up your load after dark, all of our loading areas are well lighted for the ease and safety of loading.